My hair is pretty much straight, but saying that if I let it dry 100% naturally it has a beachy kind of wave thing going on. If I dying it I'll do it myself, I've only ever used semi permanent dye and I don't do it very often. I also ombre'd my hair myself using a loreal at home kit and it seemed to come out okay. I'm quite casual so tend to wear similar style a lot unless I'm going out somewhere special. I'm defiantly a jeans and T-shirt kinda gal. 4. Do you do your own manicures and pedicures or do you go to a salon? I absolutely HATE my feet being touched, so can'y imagine I'd ever go to a salon to get a pedicure! I'd probably end up kicking someone in the face as an involuntary response! Manicures I do myself, but I wouldn't mind getting them done by a professional as a treat. Not often enough! I've been having a bit of a polish break as I had UV nails done a few months back and afterwards my nails felt really damaged and weak, so thought it'd be kind to give them a rest for a few months to repair. 6. Do you paint your toes in the Winter or just in the Summer? Just summer, I'm lazy with toes. Plus apart from my big toe all my other toe nails are tiny! I don't think they grow really . 7. Do you plan your outfit of the day the night before or just decide when getting dressed? I decide as I'm getting dressed, I'm too lazy in the mornings before work! 8. How often do you change of your handbag? I'm not really a handbag kind of girl, I've got a bit of a dodgy back so carrying a bag on a shoulder or off an arm can make me lopsided and I'll get back ache because of the way my back bends (I won't go into it now). I tend to find a really nice little over the shoulder one and then wear it to death, then buy another one! If I'm doing a full face about 30mins, for day to day probably only 15. Face then eyes every time. 11. Do you collect makeup or do you just buy what you need when you need it? I NEED all my make up! But my bf would say I like to collect it. 13. Do you wear a full face of makeup everyday? Even though I love make up, I don't. Most days to work I either wear no make up or very little. I like to save it for the weekends, plus it gives my skin a chance to breathe and I've stopped getting as many spots. 14. Will you leave the house without makeup? Yes but not if I'm going somewhere important or going for a day out, getting petrol or popping to the shops make up free is fine though. 15. How many high end products do you own? I don't actually own that many, the most high end products I have are my naked palettes 1,2 and 3 and some Benefit make up. 16. What time do you wake up and go to sleep? If you'd asked me that when I was at uni I'd say 2AM and then 10AM, but now I'm a grown up with a grown up job I try to sleep around 11-12PM and get up at about 7.30AM. I really struggle with mornings, I can never seem to get enough sleep in the week. Swear I need 9 hours sleep at least but I just can't justify going to sleep at 10! 17. How many pets do you have? None at the moment :(. We'll unless you count my adoptive pets - the boyfriend has two black labs called Bella and Jake. We're looking at getting a puppy when we eventually move in together, I really really really want a malamute! I love them so frigging much. 18. 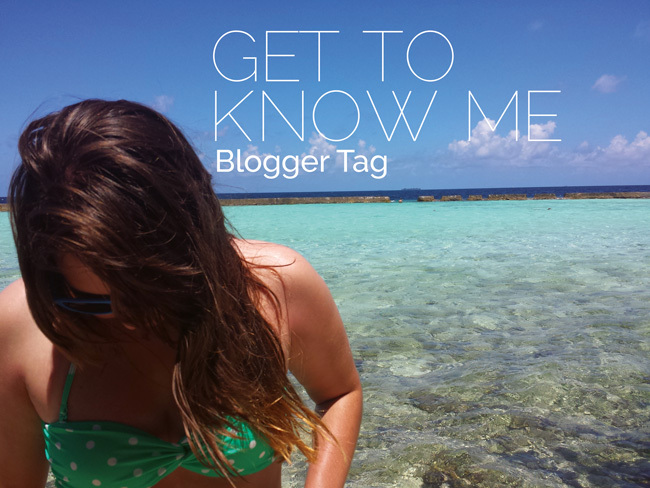 How often are you on Blogger? Even if I may not post everyday I still check on it daily. 19. Do you read comments posted on blogs? Yep! I read every single one :). I reply too. 20. What kind of camera do you use for your photographs? I use a Canon 450D, which is a DSLR I bought years ago before I started my foundation in art & design. I'm thinking of buy a new one at some point - one that does filming too. So there you go, a bit more about me. Hope you like this style of post! I tag anyone that reads this! Send me your link if you do the tag though! Love this tag sweetie!!! fab blog! Such a cute tag! Lovely post!